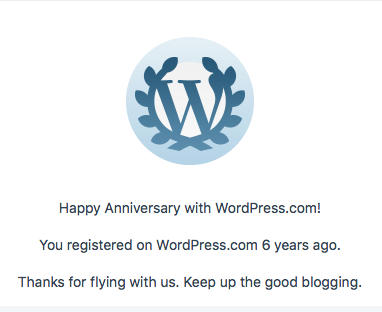 6 Year Blogging Anniversary With Quirky Books – What’s In Store Next? Today I am celebrating my 6 years blogging anniversary on my other blog – Quirky Books . If you have never visited it before – please check it out!! Quirky Books is where my writing and blogging journey began and I originally set it up to help me practice my craft of writing, find my writer’s voice, and to help other writer’s to write better. This year, I have gone back to those roots. I want you to be one of the first to know, that coming soon, I am changing my www.quirkyacademy.com site into an online education training centre for Entrepreneurs, Start-ups and Creatives. So if you fall into any of these categories of interests then expect courses to come, to give you the skills require in all aspects of these, taking your carer to a whole new level. 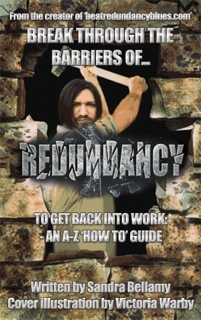 Stay positive to help beat redundancy blues. Redundancy is the perfect opportunity to take time out to discover what it is that you really want to do with your life and your career. It is perfectly normal for you to feel a mixture of emotions during the early stages of redundancy. These can include, but are not limited to, panic, anxiety, worry, stress, depression and feelings of being overwhelmed, bewildered and fearful of what the future may hold. However, it is also the chance of a lifetime to take stock of your situation and discover what makes you truly happy, in both your career and your personal life and then setting some goals to determine how you are going to achieve that happiness. Making a list of the things that you like to do both in and out of work. Making a list of what you don’t like to do in and out of work. Now, of the things you most like, number them in order of priority, what makes you the most happiest should be at the top of your list (number 1) and your least happiest down the bottom of the list. In order to determine which make you the happiest, look at yourself in the mirror and say the words of the things that you think make you the happiest – Notice your tone of voice and what your facial expressions are doing, do they show you are elated? Excited? Can’t stop smiling? By observing yourself in this way, you should be able to verify if what you think makes you happy, actually does make you happy. I know for example, that when I talk about writing, my whole face lights up, my tone of voice changes, my body language is different because I love it so much and feel comfortable being a writer. I know therefore, that I couldn’t live without writing in my life and that’s what my dream job is and that is what I need to do in order to make me happy. Google photography – Check out what area of photography I would like to specialise in, portrait, landscape, still life, animals. Buy a photography book and magazine to read up about it. Enrol on a photography course. Buy a camera recommended by the course. Practice, practice, practice – Try photographing a range of things. Join some online photography groups. Go online and find places to sell my photos. Establish what products and services I could sell on my own website and for what prices. Build my own photography website with an integrated shopping cart. Advertise my products and services in the local media. Learn to use social media to promote my business. = You are in your dream job. So you can see, your dream job is only a plan away but if you don’t act on the plan, then it will always be just a paper exercise. You need to make your dream job happen because no one else can do it for you. Let me know when you have achieved it and you are welcome to do a guest blog post on this site, describing your business and your experience, thereby gaining free publicity. I am confident that together, we can beat redundancy blues.